The 4-in-1 Ztylus Revolver Lens Case was created to enhance the width, depth and overall quality of your smartphone’s photos. This cutting-edge design seamlessly incorporates the Revolver Lens Case and the Revolver Lens Gadget into a symphony of innovation and form. 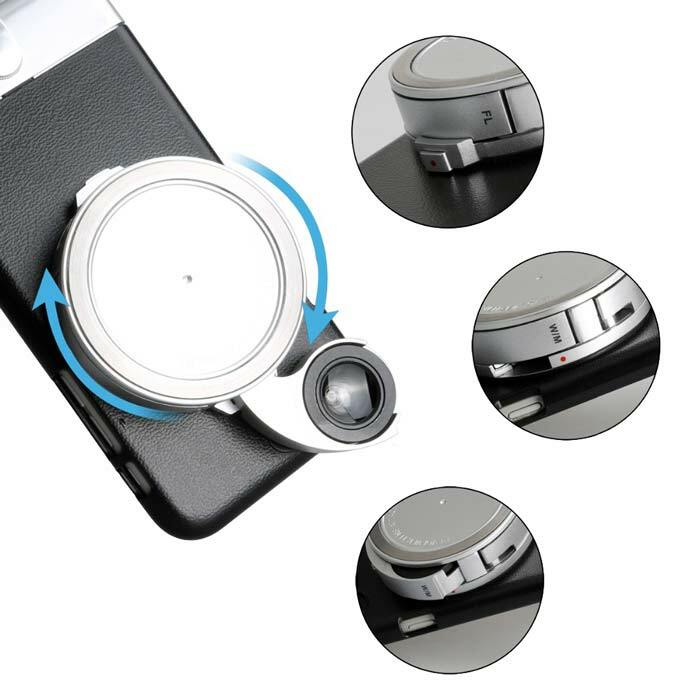 With a flip of your wrist, you’re able to change lenses at will, enhancing the camera on your smartphone. 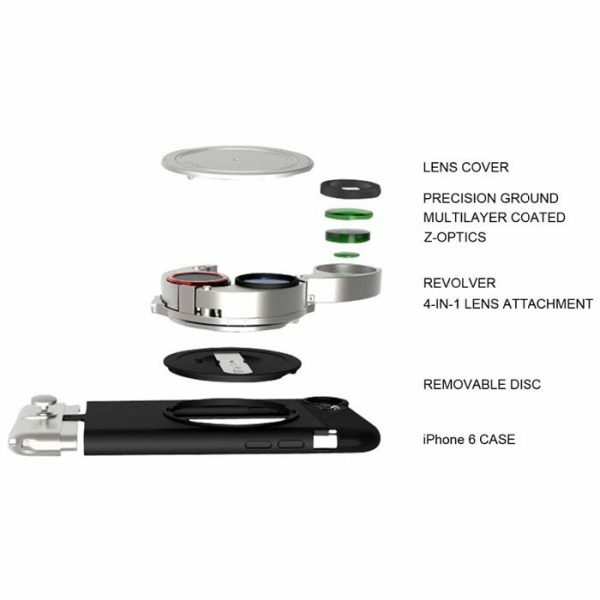 The Revolver 4 in 1 Lens Attachment allows you to easily attach 4 lenses to your Lens Case. 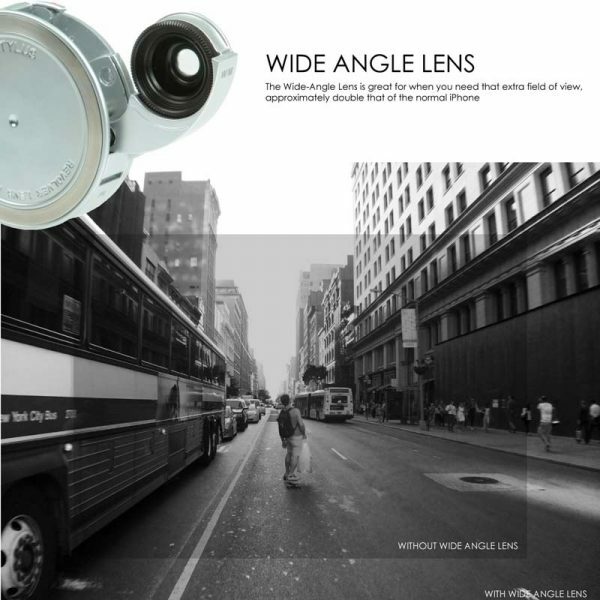 With the 4 high quality lenses, you can take better photos with the flip of your wrist. 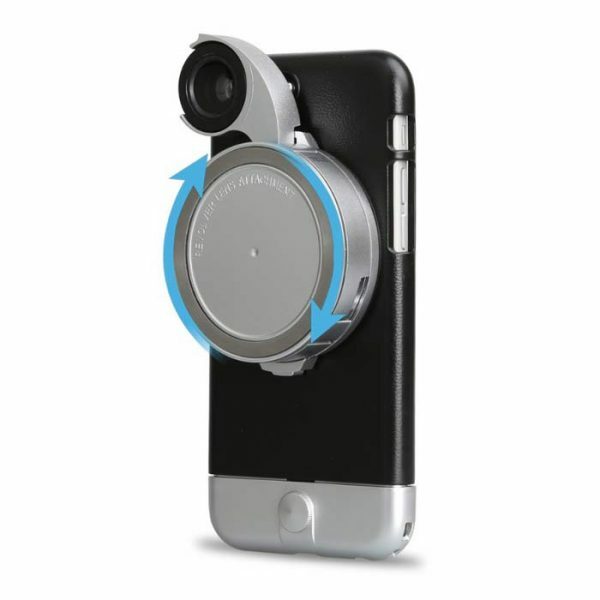 The new Smart-Flip technology allows the lens to flip out and automatically lock into place. 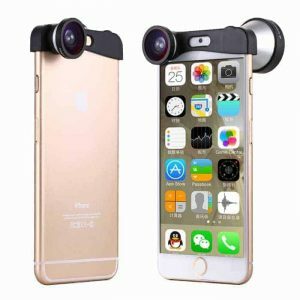 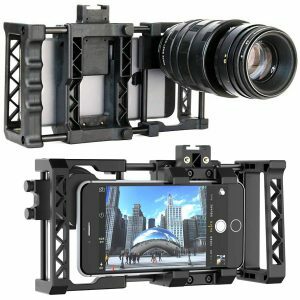 With this revolving Lens Case and lens system, you can now use the lens, case and screen protector all at once. 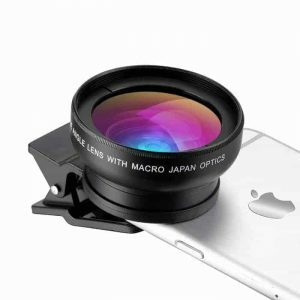 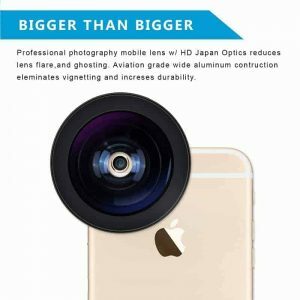 Most iPhone lenses in the market are not compatible with screen protectors or phone cases. 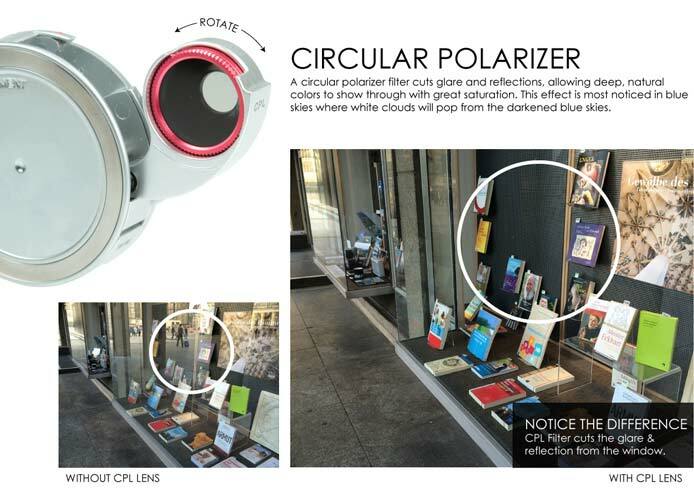 This Gadget solves this problem by allowing the whole system work together in harmony without sacrificing protection. 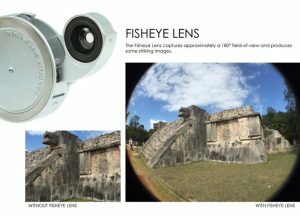 Whether you’re taking pictures of family or sightseeing in a new city, you can always find the right lens to use to get that perfect shot. 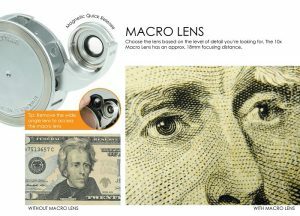 4-IN-1 REVOLVER LENS: This Revolving Lens Attachment comes outfitted with four different inspiring lens options: Macro Lens, Wide Angle Lens, Fisheye Lens and CPL lens. 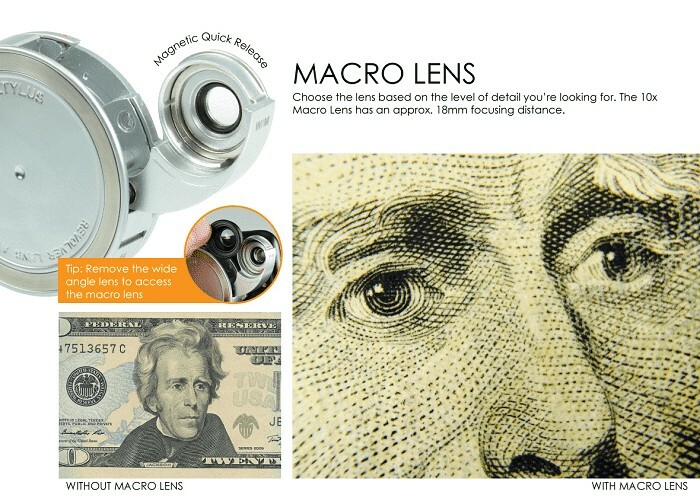 QUALITY CRAFTED: Based on the successful RV-2 Revolver Lens, we have improved the optics to deliver a much clearer picture quality with the Revolver Lens. 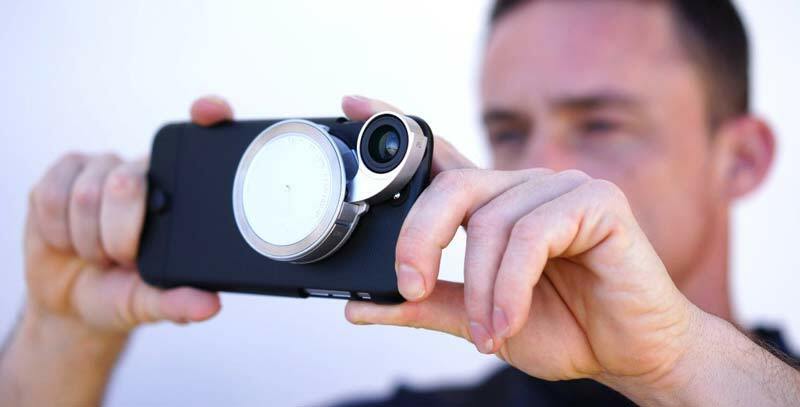 Additionally, our cases are quality crafted with premium poly-carbonate materials for a truly luxurious feel and look. 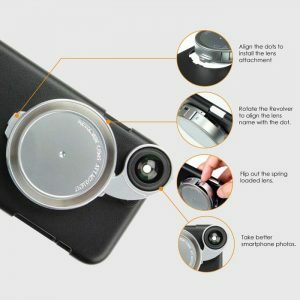 ALL AROUND PROTECTION: Our case provides all around protection for bumps and scratches and the raised lip protects your display screen when you set the phone face down. 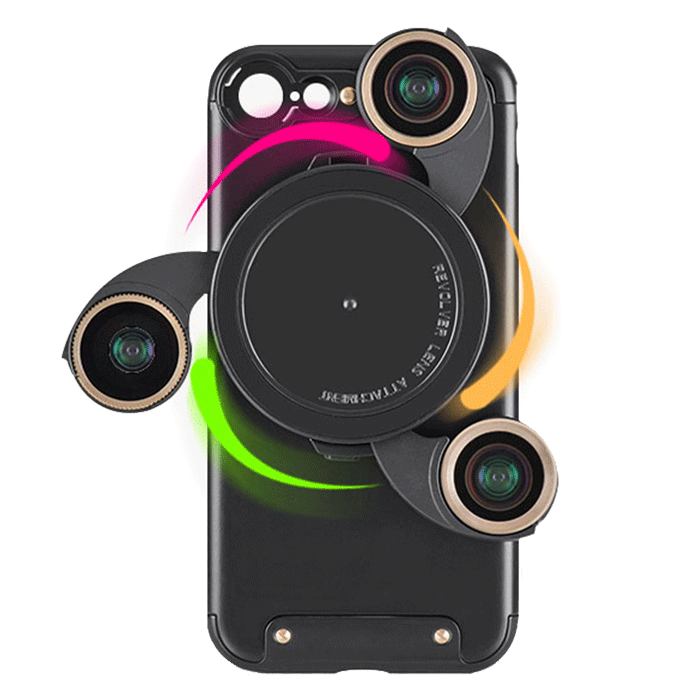 FULL ACCESS: The cutouts on the case allow for easy and comfortable access to all of your ports and controls. INTEGRATED SHELF KICKSTAND: The integrated shelf kickstand can be used in landscape orientation for a hands free experience when viewing your favorite videos, managing photo slideshows, or displaying clocks and calendars.